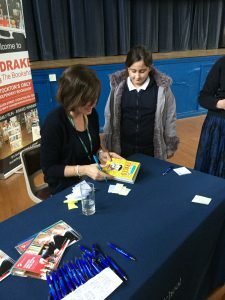 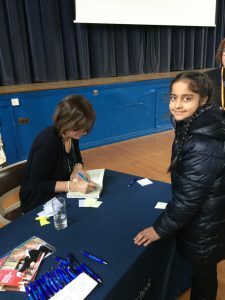 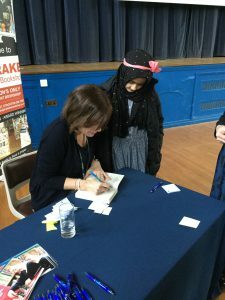 Year 5 and 6 pupils had the opportunity to meet author Lisa Thompson and learn more about her latest book, The Day I Was Erased. 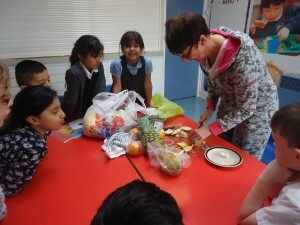 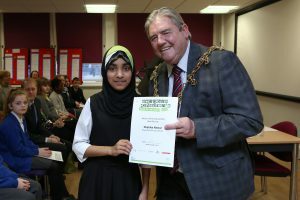 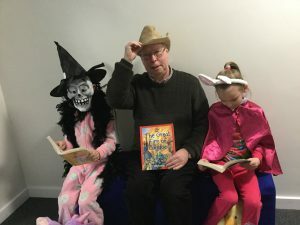 We currently have 4 volunteers from the Beanstalk Charity, who come in to school and enthuse the children to enjoy reading. 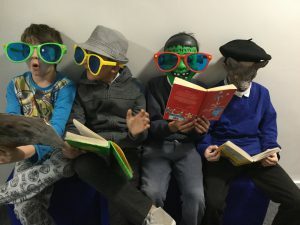 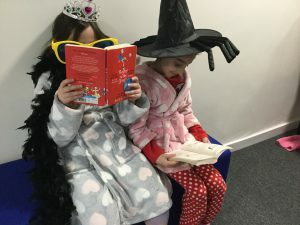 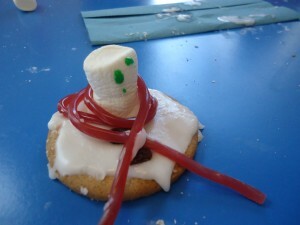 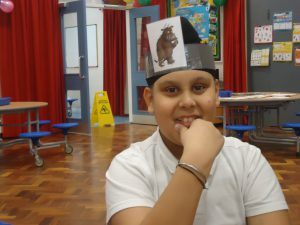 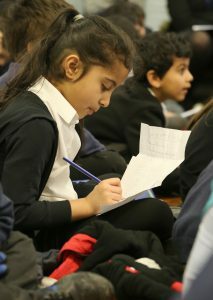 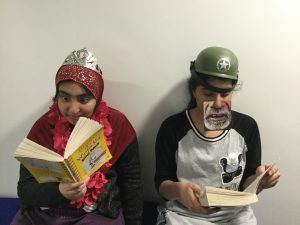 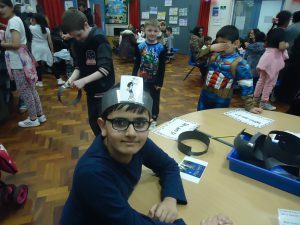 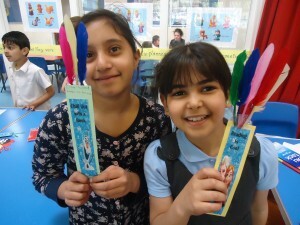 To celebrate World Book Day each class took part in a variety of reading activities. 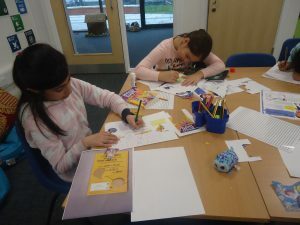 Creating mood boards based on their favourite story. 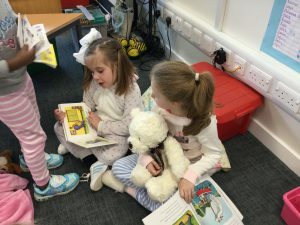 Mrs Collins came back into school to share her favourite stories. 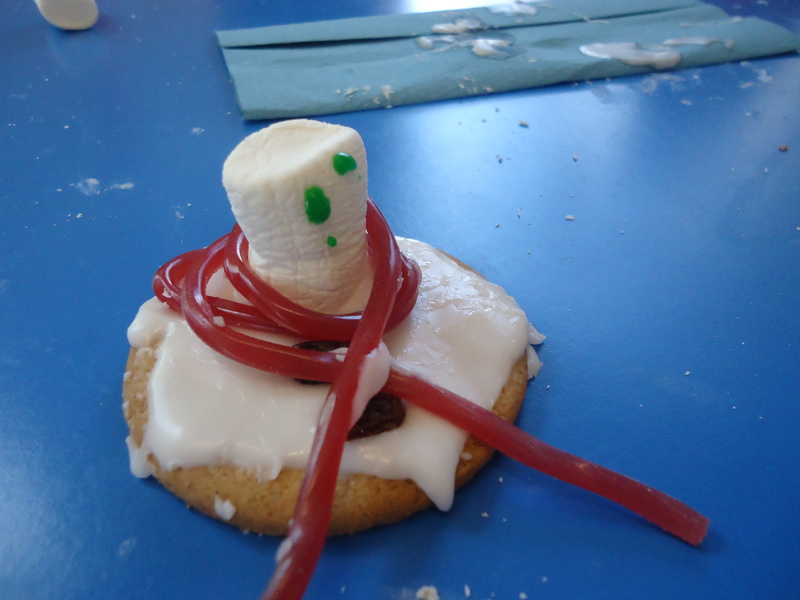 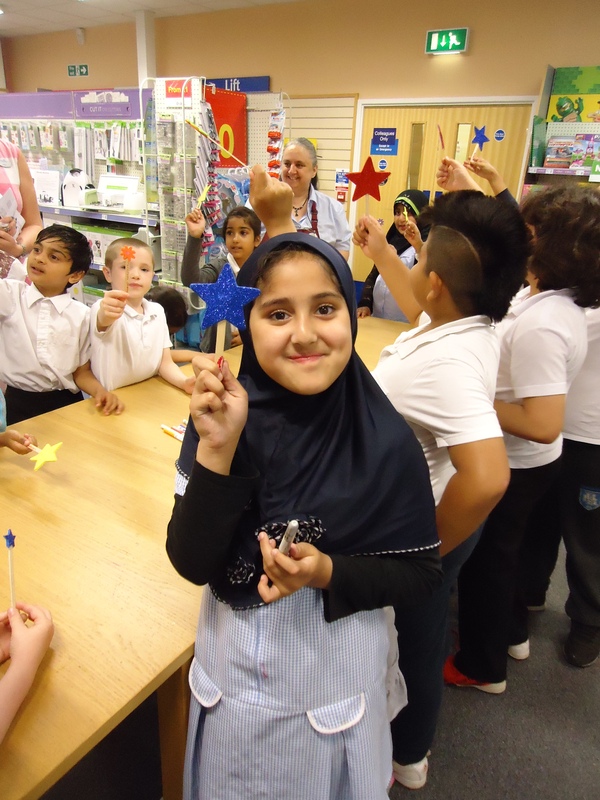 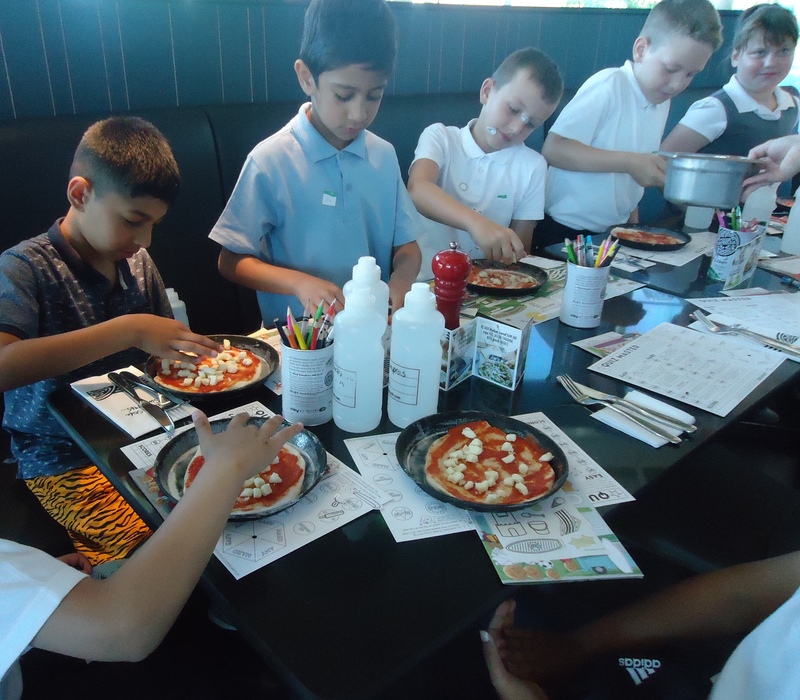 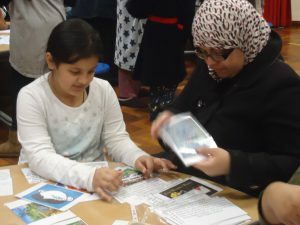 In the afternoon we held a workshop for families to enjoy a fantastic range of book related activities. 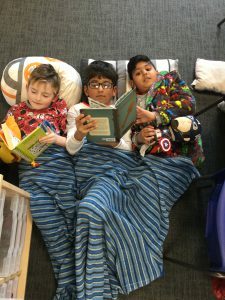 Who’s Reading? 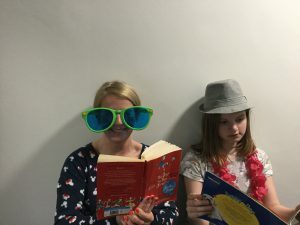 Identify the adult who has their head in a book. 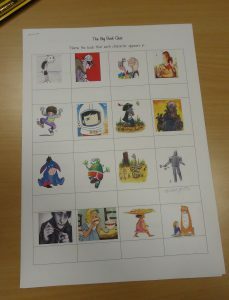 Click on the link below to see how many you can identify. 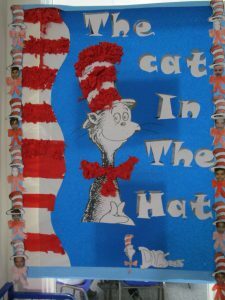 Identify the book from just a picture. Match the text with the correct front cover. 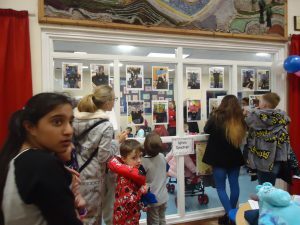 The photo booth was very popular. 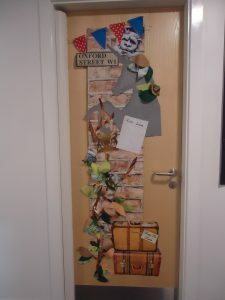 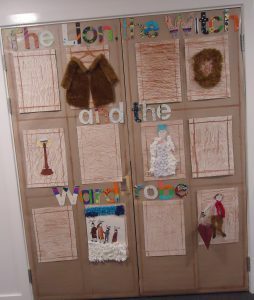 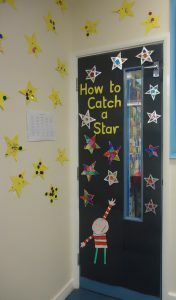 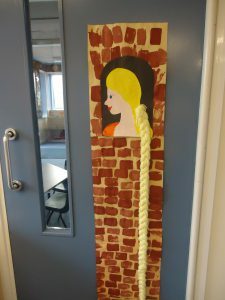 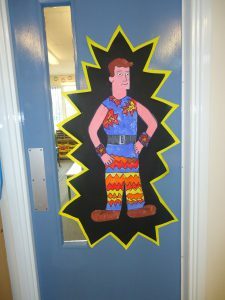 As part of World Book Day each class decorated doors throughout school showing their favourite books and characters. 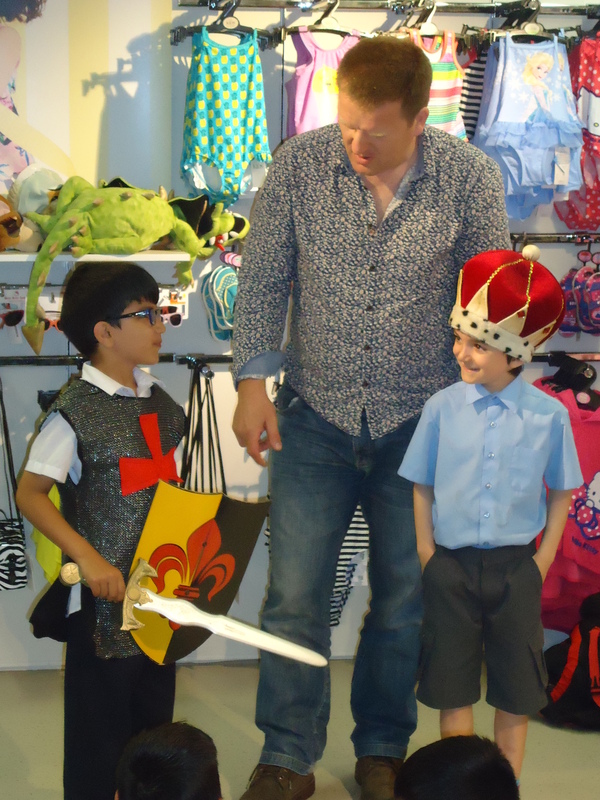 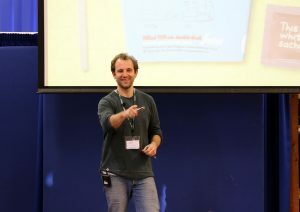 Year 3 and 4 visited Oxbridge Primary School where they met author Jim Smith. 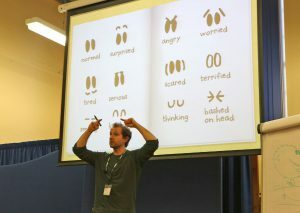 Jim told the children all about his books and taught them how to draw the characters. 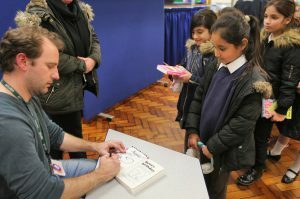 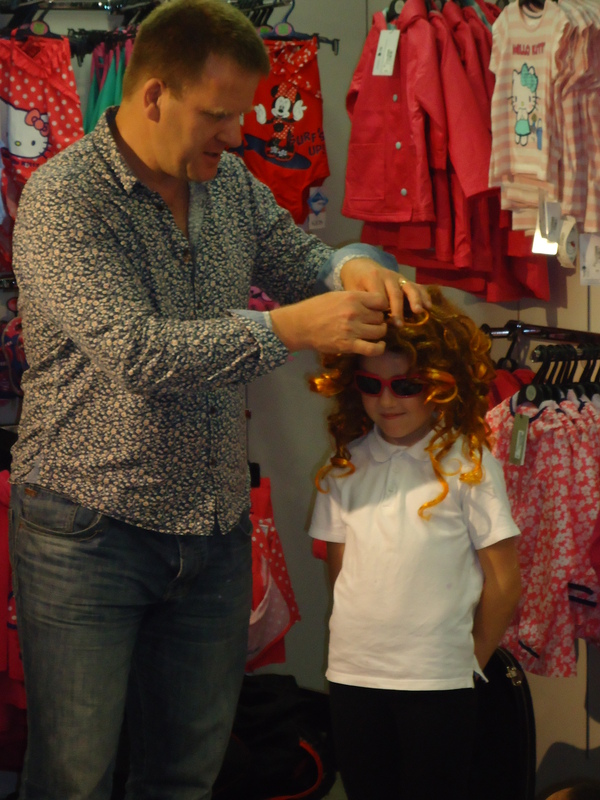 Afterwards, the children had the opportunity to buy a signed copy of Jim’s books. 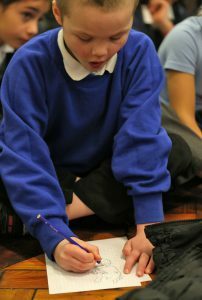 Year 5 took part in the Stockton Children’s Book of the Year Competition 2016. 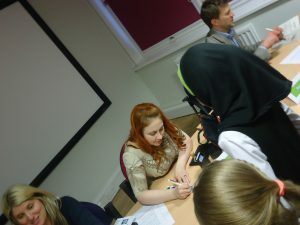 They read books by Emma Carroll, Bea Davenport, Ellie Irving, Gabrielle Kent and Tom Moorhouse. 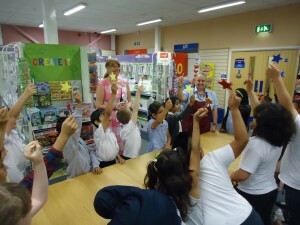 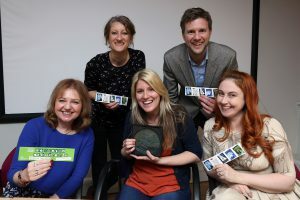 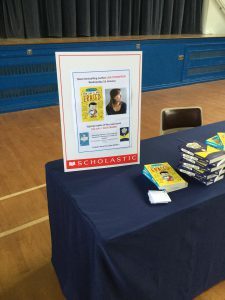 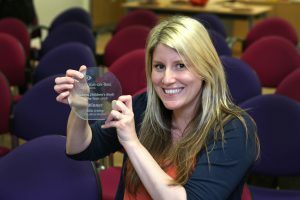 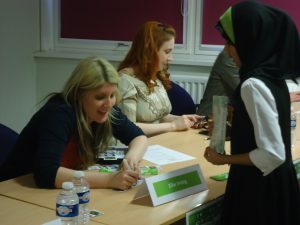 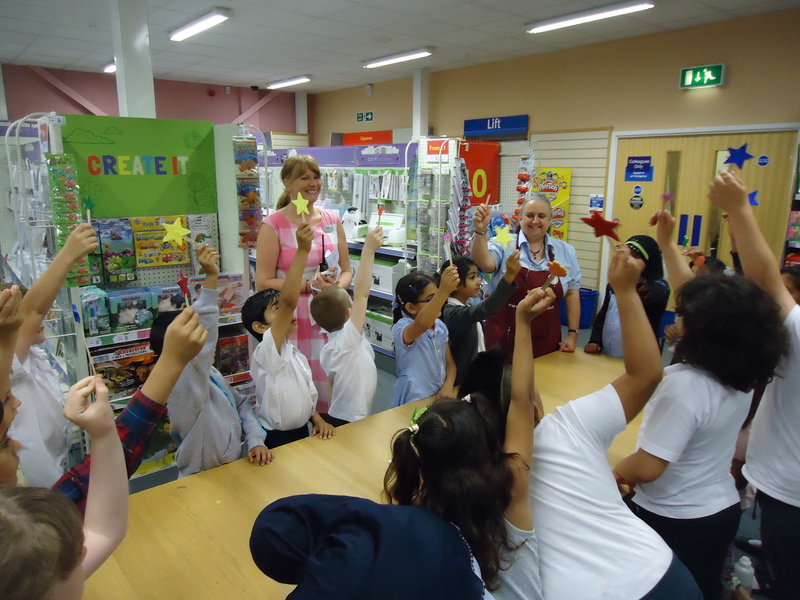 A presentation event was held at Stockton Library where the children could meet the authors. Years 2, 3 and 4 took part in The Young Readers Programme 2015 run by The National Literacy Trust. Tasting fruit from Handa’s Surprise. 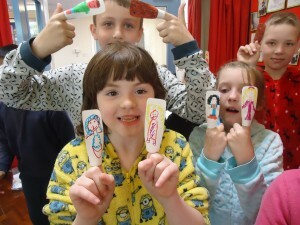 Finger puppets from Traditional Stories. Book marks from our favourite stories. 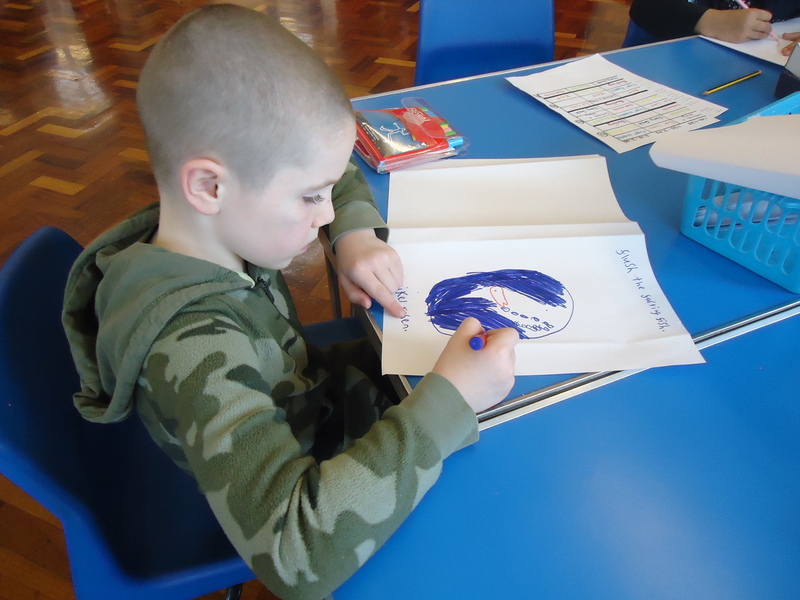 Designing our own book covers. 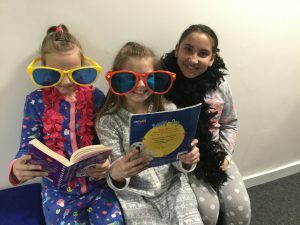 Session 2 was held outside. 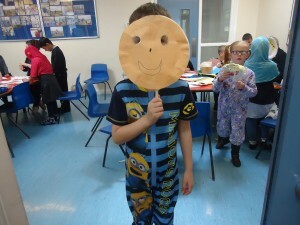 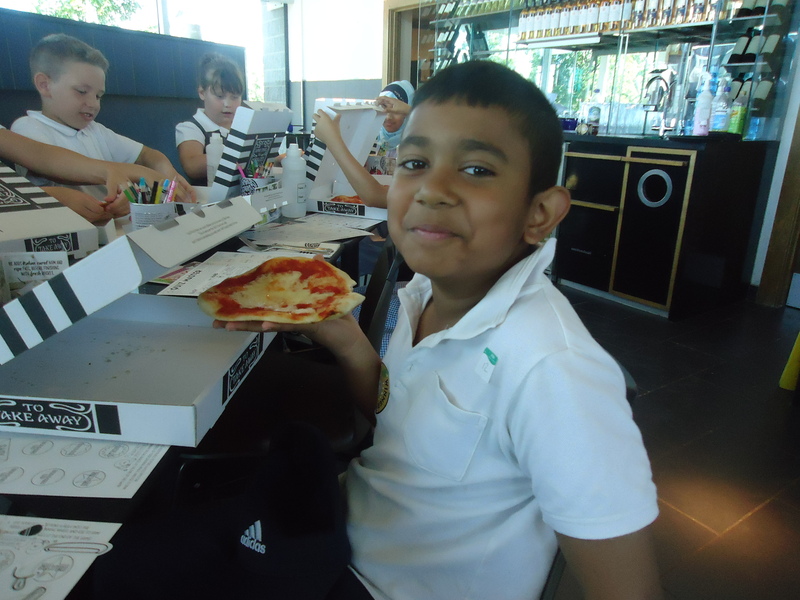 We enjoyed lots of fun activities, had a picnic and talked about our favourite books.